Some days it is tougher to get some work done at WYMA World Headquarters. Here is the discussion that occurred ten minutes ago between me and Ralph The Intern ("RTI"). RTI: Hi, Scott. What's going on this morning? Me: I'm planning to write about an English band. RTI: Whoa - Scott! You need an attitude adjustment! This band, whomever they are, may not have a big reputation, but they deserve our respect. After all, you're the guy who wanted the blog to focus on lesser known and small or no label bands. RTI: Man, you really have it bad today. I don't think you should tackle writing that feature until you get your head right. Me: [sigh] Maybe you are right, Ralph. It would be helpful if you went out and got us some coffee, rolls and a bottle of something to brighten up the coffee. Take your time, enjoy the morning and charge it to the research budget. And go to the shop in the city center. Their pastries are better than the closer shops. RTI: Sure thing, Boss! And I'll be happy to help you with the feature about the English band when I get back. Maybe you'll start by telling me their real name. Sometimes, you get what you pay for. That is the case with Ralph, the unpaid intern. 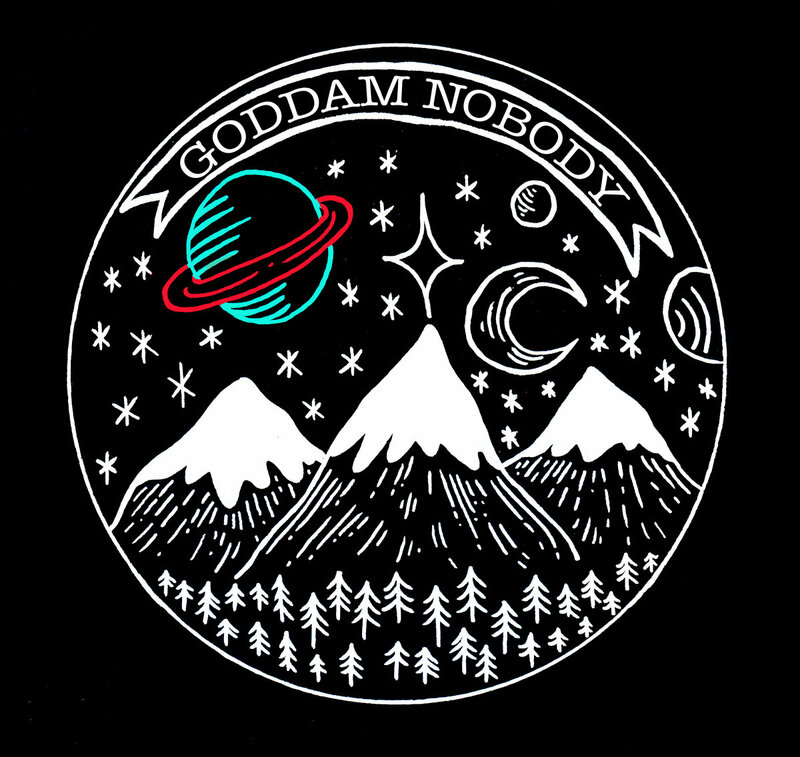 But sometimes, you get much more, as is the case with Goddam Nobody. These guys craft songs with a '50s - '60s vibe and play them straight up, un-ironic. Sometimes they put a dream pop sheen on it. It all sounds great to my ears. They have released three EPs which are available at the Bandcamp link below. They are attractively offered at 'name your price', and I encourage you to give them something above zero for their trouble. After all, we want to hear more from them. I've played each EP several times over the past few days and now I'm updating it into my Sonos system. My wife's life is going to be filled with Goddam Nobody. She's lucky to have me. The members of the band are Oli, Jonny, Dan, and Jamesy, and sometimes members Matt Cleave, Dan E. Brown and Joshy Gibbs. They list their homes as London and Falmouth. Take a taste of their new five-song No Lust For Life EP via "Hit The Ceiling". A great sing-along melody, fun story and a '60s garage vibe. And here is a slow-dance gem from their Cut And Paste To Waste EP. Don't miss the title track from their No One Around EP, which may be the sweetest sounding three songs in their catalog. I've go to press 'publish' here because Ralph is coming up the stairs and I need to find a project to distract him. We are unabashed fans of pop music globalism. In the past two weeks we've featured music from the US, Scotland, England, Denmark, Singapore, Australia, Ireland and New Zealand. However, we feel that we haven't been fair to our close northern neighbors. 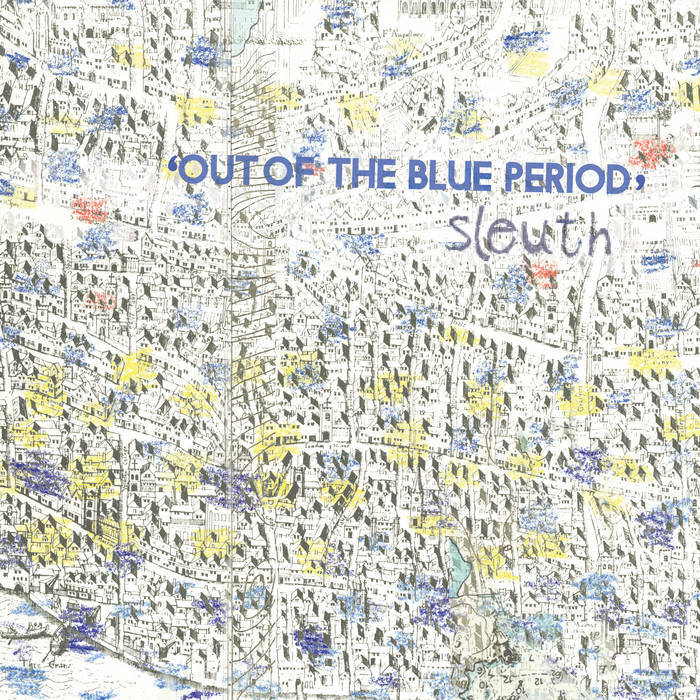 So today we feature Out Of The Blue Period from Vancouver, BC band Sleuth. Quick descriptions of this album likely will reference "indie pop", "jangling", and "twee". And glancing at the tags I've chosen for this post, I'm as guilty as anyone. However, while all those terms generally apply, I think that there is a lot more going on here than what we normally would associate with those tags. The arrangements are more varied and adventuresome. And the lyrical content is a cut above most pop. The result is an album that you will like the first time you play it, but chances are you'll like it more with successive listens as you tune in to the subtle details that make Sleuth such a good band. As frequent readers know, I'm a big fan of jangle pop, and this album delivers a satisfying dose starting with the opening track, "Good On Ten Inside (I Don't Mind)". Some of the brightest gems here, however, step beyond that genre. I've provided a few tracks below, but I encourage you to hit the Bandcamp link and let Sleuth be the soundtrack for your evening. And take the time to watch the video for "A Finely Tuned Machine". Any band that can talk the local roller derby ladies into filming a music video gets extra points from me. Sleuth is The Lion in Love, Julian Bowers, Oliver McTavish-Wisden, and Leon Easter. I few years ago I think I tracked down a more official name for The Lion in Love when I featured an earlier release from the band, but I'm not going to do it again. If he wants to be known as The Lion in Love, who am I to argue? I'd only advise him to avoid dentists from Minnesota. Out Of The Blue Period is available on vinyl, CD and digital formats from Jigsaw Records. Once upon a time Melbourne boasted a fine, very young indie pop band called The Crayon Fields. Formed in high school and self-educated in the art of lo-fi psychedelic shaded dream pop, they earned a faithful following and released some fine records. 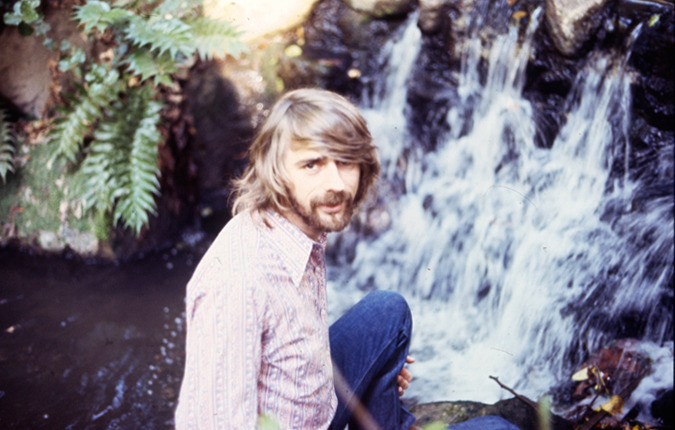 The band then went silent for a while one of their number, Geoff O'Connor, embarked on a solo project more focused on synth pop. Now, in the latter half of 2015, the foursome's paths have converged again and the rejuvenated band has released No One Deserves You. Its ten tracks combine the dream pop and '80s influenced synth pop into a wonderful blend that is as pleasing to the ear as anything I've heard this year. The sound is smooth and infused with romantic yearning. The harmonies soar and the hooks tug at your emotions. For me, the best songs are opener "Slow Magic", the two previously released songs, "She's My Hero" and the soaring "Love Won't Save You" (back in the '80s when MTV played music, a video for this one would have been in frequent rotation), "Night Moves", and the retro "So Do I" -- my goodness, I love this song. But there are no songs to skip, just favorites to repeat a few times. This edition of The Crayon Fields is not the last decade's version. But it isn't a lesser version. More mature, more assured, but still optimistic and unjaded, and with a keen knack for crafting a song. This version of The Crayon Fields will do just fine indeed. The Crayon Fields is Geoffrey O'Connor, Neil Erenstrom, Brett Hudson, and Chris Hung. No One Deserves You is out now in CD, digital, and vinyl formats from Chapter Music (vinyl is delayed until late October, according to the label). As we previously announced, Martin Phillipps and his current incarnation of The Chills will release Silver Bullets, their first album of new music in many years at the end of this month via Fire Records. In advance of that date, the band has released the second track from the LP. "Warm Waveform" demonstrates that Martin has lost none of his ability to create rousing, shimmering pop music. The Chills are Martin Phillipps (vocals/guitar), James Dickson (bass/backing vocals), Todd Knudson (drums/backing vocals), Erica Stichbury (violin/backing vocals), and Oli Wilson (keys/backing vocals). Rose Melberg has a delightful habit of showing up in new projects and thrilling us with fuzzy pop songs. Past projects include Tiger Trap, Go Sailor, The Softies, Gaze, PUPS and Imaginary Pants, as well as solo recordings. She has influenced many other bands, and while she isn't tall, her stature is large. 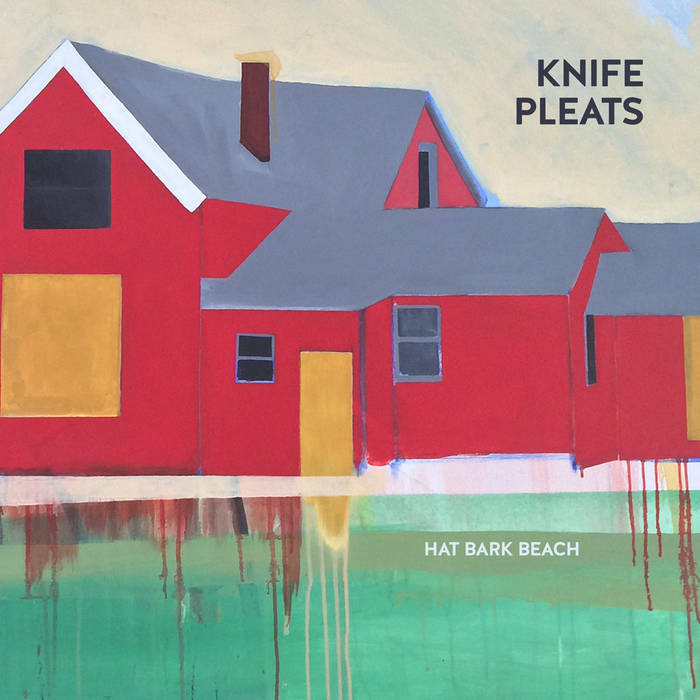 Rose has popped up again with Knife Pleats, a foursome which includes Kaity McWhinney and Tracey Vath from Love Cuts and drummer Gregor Phillips. Their debut album is Hat Bark Beach, which features twelve songs with heart tugging harmonies, fuzzy guitars and a robust rhythm section. The songs are short and pacey, but packed with goodness. While we can be sure that the songs weren't written for a contest to see who could pack the most hooks in the shortest song possible, if such a contest is established, don't bet against Knife Pleats. Days are getting shorter, and temperatures are dropping. I'm not a doctor, but I'll suggest that you may need the sugar rush of Hat Bark Beach to delay your hibernation. This is medicine you'll want to take every day. Hat Bark Beach is released by WIAIWYA Records (UK/Europe)and Lost Sound Tapes (US) and Jigsaw Records (US). Choose whichever site gives you the best postage or most convenient format. You, our beloved readers, deserve the best indie pop music. And that's why we are willing to scour every inhabited continent for music worth listening to. And today, our ears have ventured to Singapore for the debut LP from Lost Weekend. I first discovered some of their demos on line in February 2013, and was sufficiently impressed to feature them on the blog. They contacted me recently about their self-titled album and I was more than happy to give it a spin. Was it worth my time? Well, a spin turned into multiple listens and, now, a full endorsement. The band claims they make music for small lives in a big city, which is a very nice turn of phrase. But it seriously understates the quality of the arrangements and the subtlety and sophistication of Rachel Tan's vocals. In fact, I suggest that in addition to giving you ten indie songs you'll want to play regularly to enrich your small life in your big city, Lost Weekend may give you your new favorite female indie vocalist. The songwriting is razor sharp and highly evocative. I'm betting you'll be hooked from the first single from the album, "Mornings", to the final note. Lost Weekend is Rachel (guitar/vocals), Arif (guitar/violin), Mark (bass), and Zheng Jie (drums). The album is available at the Bandcamp link below. Apparently, through the wonders of DNA manipulation, cats that glow in the dark are a real thing. But we aren't going to dive deeply into that, as I'm a dog kind of guy. 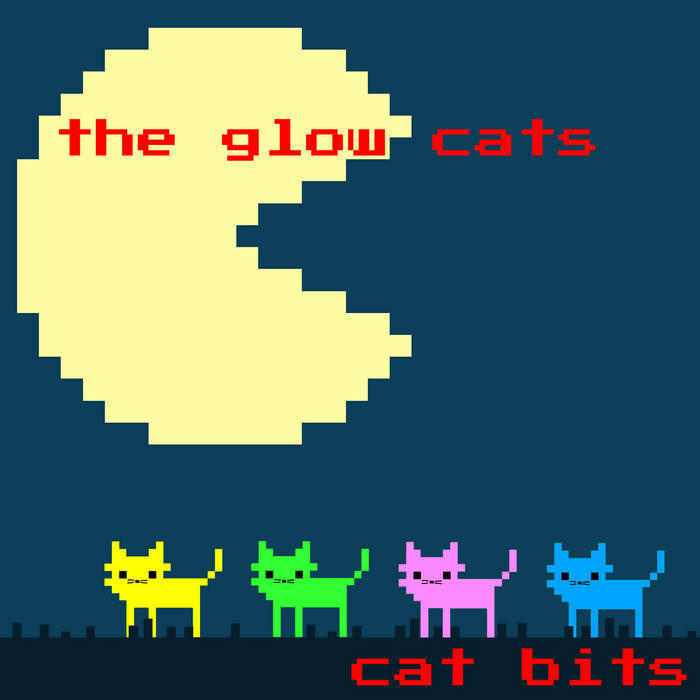 However, we do want to discuss Denmark's The Glow Cats, which are a more human and more musical kind of glow cat. The current line-up for the Copenhagen-based quartet is Kasper Clemmensen (guitar/vocals), Klaus Reinholdt Petersen (guitar/vocals), Ditte Duus (drums/violin), and Elise Nimand Madsen (bass). Their sound is classic indie pop -- twee and jangling with a somewhat more lo-fi version of Scandinavian guitar pop. The emphasis is on fun, with song subjects such as a snow man, cartoons, food, and playing air guitar. On Cat Bits, Jigsaw Records has compiled 28 songs, four recent ones with the band's current line up and 24 from previous tracks. It is a generous record packed with concise pop nuggets and priced to practically jump into your hands. If you listen to this album without smiling and nodding your head, it may be too late to call the doctor. We offer our sincere condolences to your survivors. The sad fact is that there are real music fans who read the title to this post and ask themselves "who is Spooner Oldham". So we'll take a moment to tell you while the readers in the know just nod their heads. 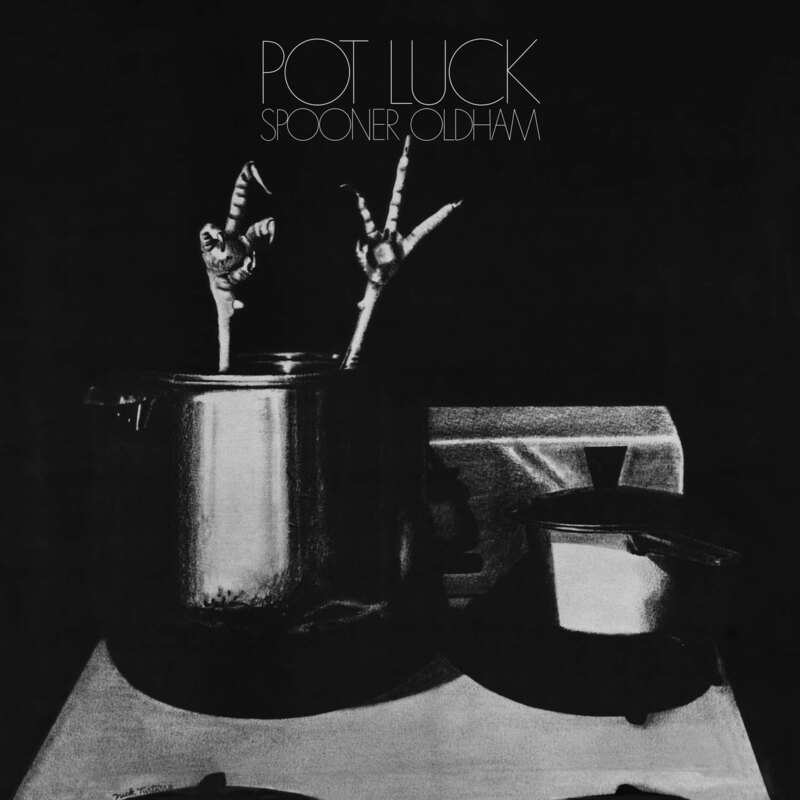 Spooner Oldham was the keyboard man for the soul sound of the Muscle Shoals recording studio, and co-founder of its legendary rhythm section. You heard him on Percy Sledge's "When A Man Loves A Woman" and Wilson Pickett's "Mustang Sally". He recorded and or performed with Dylan, Joplin, Etta James, Jimmy Hughes, Aretha Franklin, The Everly Brothers, Bobby Womack, Jim Croce, Gram Parsons, Jackson Brown, Gene Clark, Neil Young, Drive By Truckers and many others. Together with his songwriting partner Dan Penn, he has written over 400 songs, including "Cry Like A Baby" for The Box Tops, "I'm Your Puppet" for James and Bobby Purify, "It Tears Me Up" for Percy Sledge and "A Woman Left Lonely" for Janis Joplin. Although his career wasn't built on being the man in front, he recorded his own album, Pot Luck, in 1972. I'd love to be able to report that it was a top seller, but the fact of the matter is that Spooner was a big name to industry insiders only, and the album didn't make a splash. Fortunately, Light In The Attic Records knows quality, and they have reissued the album in vinyl, CD, and digital formats. All 13 tracks have been remastered from the original tapes, and the label has given the release a deluxe package. The first six songs are Spooner rarities, including works created with Dan Penn and Freddy Weller. The remainder of the album is a seven-song medley of hits on which Oldham played keys. Of course, the medley includes "Cry Like A Baby" and "Respect". If you are a fan of Spooner or Muscle Shoals. Or if you like southern soul (our research shows that 96.5 percent of people with a pulse do), then you should check out Pot Luck.